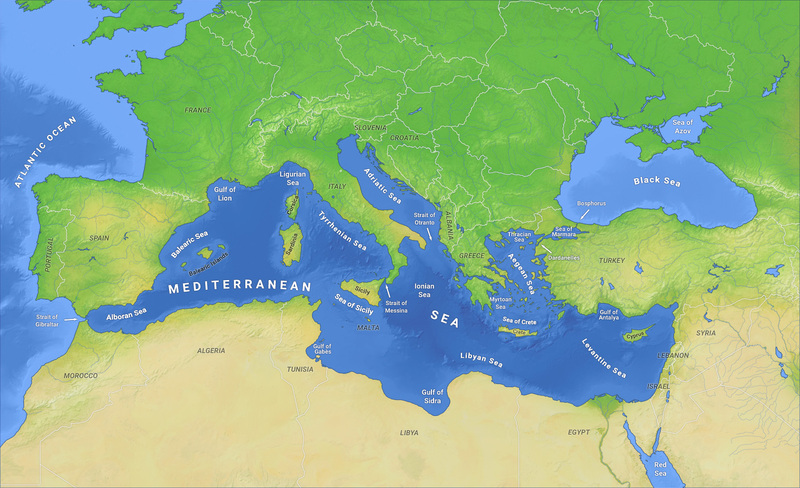 Q1: Why has the European Union announced a military operation in the Mediterranean Sea? A1: EU foreign affairs and defense ministers announced Operation Naval Force in the Mediterranean (EUNAVFOR MED) on May 18, which seeks to disrupt the “business model of human smuggling and trafficking networks in the Southern Central Mediterranean.” EUNAVFOR MED will identify, capture, and dispose of vessels and assets used by smugglers to bring migrants to Europe’s southern shores. How EUNAVFOR MED will dispose of the smugglers’ vessels has yet to be defined in detail, but the concept is to eliminate their ability to bring refugees into international waters. For this operation to be successful, it is very likely that operations will be conducted within Libya’s territorial waters. France, Germany, the United Kingdom, Spain, and Italy will participate in EUNAVFOR MED. As Italy has borne the brunt of the migration crisis, Rome will host the operation’s headquarters, and Admiral Enro Credendino of the Italian Navy will lead EUNAVFOR MED. The European Union has successfully implemented similar maritime military operations under its Common Security and Defense Policy (CSDP), including its counterpiracy initiative off the coast of Somalia, Operation Atalanta, which has helped reduce the number of attacks on commercial vessels from 176 in 2011 to 2 in 2014. Operation EUNAVFOR MED should underscore the European Union’s growing strength and capabilities in the maritime security domain and signal Europe’s willingness to take greater responsibility for regional security. To date, neither the United States nor NATO has been asked to provide additional maritime capabilities, although NATO secretary general Jens Stoltenberg said that NATO stands ready to assist if such a request is made. Q2: How is the European Union dealing with this unprecedented migration crisis beyond this operation? A2: The scale of the challenge is enormous, and EUNAVFOR MED is seen as one component of a wider strategy to tackle this growing crisis. According to Eurostat, the number of asylum applicants seeking to enter Europe rose from 431,000 in 2013 to 626,000 in 2014—a 45 percent increase. Of those, a significant portion originated in Middle Eastern or sub-Saharan African nations, including Syria (122,115), Eritrea (36,925), Nigeria (19,970), Iraq (21,310), and Somalia (16,470). While it is hoped that EUNAVFOR MED can help to stabilize these large flows, collectively they only amount to 31 percent of the total number of asylum seekers in Europe—indicating that the problem extends well beyond the program’s regional scope. The European Union is also focusing on the humanitarian dimension of the crisis and has tripled resources to its current maritime rescue mission Triton in order to rescue refugees already at sea. EU development assistance activities will also likely be strengthened to address the root causes driving migration, such as insecurity, instability, and poor economic conditions, which compel migrants to leave their countries in the first place. The most controversial part of the EU plan was unveiled last week by the European Commission. The European Union will seek to create an emergency relocation mechanism for asylum seekers within the Union based on a national quota system. Today, an inordinate burden is placed on the country through which a migrant enters the Union, as the country of entry retains legal responsibility for the asylum seeker and is required to process his or her application. Because southern European countries—already reeling from an ongoing economic crisis—have been the primary entry points for migrants, this relocation mechanism aims to more evenly distribute the burden of the migration crisis between the 28 EU countries. This concept, while underscoring European solidarity, brings immigration policy into focus at a time when it is highly charged and controversial throughout the European Union. Among others, the United Kingdom and France are strenuously opposed to this plan as they contend that such quotas would contradict existing EU immigration rules. Chancellor Angela Merkel of Germany, however, is backing the Commission’s plan. Due to its more lenient national immigration policies, Germany has welcomed the highest number of asylum seekers and granted approximately 173,000 asylum requests in 2014 alone. For Berlin, the quota system may actually help to alleviate the number of refugees it accepts in the future. While it is unclear how this mechanism will ultimately work, the debate will continue for the foreseeable future, reflecting the difficult and delicate nature of this issue in Europe both at the national and pan-European level. This crisis is a critical test of Europe’s commitment to humanitarian and freedom of movement principles. Q3: How do we proceed from here? A3: Slowly. EUNAVFOR MED’s operations cannot practically start before June, despite the urgency of its mandate. It is anticipated that force generation processes will begin shortly in order to enhance detection and monitoring efforts in the Mediterranean. The Operation has been approved for a one-year mandate. European diplomats are also trying to secure a UN Security Council Resolution (UNSCR) endorsing the operation in an attempt to legitimize any actions it make take on foreign territory, although it is unclear how Russia and China will vote. Additionally, the European Union is seeking the formal support of the Libyan authorities to add regional authorization and legitimacy to the operation, although this would not be required from a legal perspective if there were a UNSC resolution. As Libya currently has both an internationally recognized government and a rebel-led authority vying for power, it will be difficult to secure legitimate authorization, guaranteeing that any military intervention in Libyan territorial waters will be fraught with challenges. Simond de Galbert is a visiting fellow with the Europe Program at the Center for Strategic and International Studies (CSIS) in Washington, D.C. Heather A. Conley is senior vice president for Europe, Eurasia, and the Arctic, and director of the Europe Program, at CSIS.